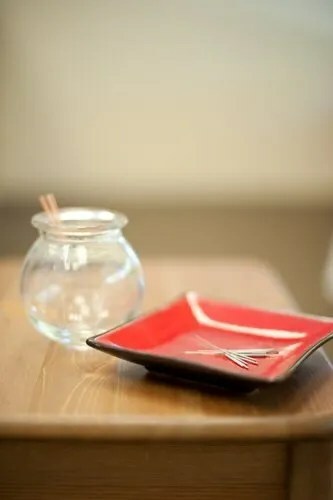 The Western theory says acupuncture works by stimulating specific points near or on the surface of the skin – acupuncture points – that have the ability to alter biochemical and physiological conditions in the body. Because acupuncture points are designated areas of electrical sensitivity, inserting needles at these points stimulates sensory receptors. This in turn stimulates nerves that transmit impulses to the hypothalamic-pituitary system in the brain. The hypothalamus-pituitary glands are responsible for releasing neurotransmitters and endorphins, the body’s natural pain-killing hormones (thought to be some 200 times more potent than morphine). Endorphins play a significant role in the hormonal system, which is why acupuncture is effective in treating back pain, arthritis, PMS and infertility. The substances released as a result of acupuncture relax the body, and also regulate serotonin in the brain, which affects emotional states. Other physiological effects include increased circulation, decreased inflammation, relief of muscle spasms and increased T-cell count, which supports the immune system. Do I have to believe in order to obtain results? No. As a case in point, acupuncture works very well for horses, dogs and cats, most of whom probably don’t “believe” in acupuncture. It is always beneficial to have confidence in your practitioner, but faith in a particular technique is not necessary to obtain results. There is a veterinary acupuncturist who works on horse in Atherton, Ca. who is making a great living providing acupuncture on horses. Are there risks, or side effects to Acupuncture? Can I buy Acupuncture Needles for self-treatment? Self-treatment is not recommended, either with needles or other gadgets. Only a properly trained practitioner is qualified to objectively diagnose and administer appropriate acupuncture. Gadgets sold with manuals indicating “certain points for certain symptoms” do not use traditional acupuncture theory, and the self-treating patient can easily overlook other relevant symptoms. There is little sensitivity to the insertion of acupuncture needles. One reason is that they are much finer than those used for allopathic / Western Medicine injections and blood tests – 25 to 50 times thinner than hypodermic needles. Further, the actual insertion is done very quickly. While some feel nothing at all, others experience a brief moment of discomfort, sometimes followed by a mild sensation of cramping, tingling or numbness (desirable sensations known as “attaining qi”). The needles are left in place for 20 to 90 minutes. Most people find the experience relaxing, and some even fall asleep during sessions. Yes. The State of California requires the use of only single use sterile needles.